Retail success is all about having the latest and greatest products. So, what’s new in retail? To keep your store ringing up sales in 2017 and beyond, here are 8 retail trends you must know about. Loyalty programs are a growing trend for retailers, says Bryan Pearson, president and CEO of LoyaltyOne Inc. No longer limited to old-fashioned paper punch cards, loyalty programs have gone digital, with sophisticated options available to even the smallest retailers. Beyond boosting customer loyalty and sales, most loyalty programs’ software includes a marketing component that makes it easy to develop offers tailored for customers based on their interests, demographics and past purchasing behavior. Social media continues to be an important motivator of retail sales, especially for younger consumers. Often, the purchase process starts by seeing a product on social media, especially on visual sites such as Instagram or Pinterest. Pearson suggests raising your social media profile by rewarding your customers for social behaviors. For example, you could hold a contest on social media and award a gift card to the winner; reward customers for checking in at your store or sharing your posts; or encourage customers to share photos of their purchases from your store. Enhance your social presence by advertising on social media, which enables you to directly target your specific customer base. While brick-and-mortar retailers still face challenges competing with e-commerce giants, there’s a resurgence of interest in shopping in physical stores. Click-and-collect or "buy online, pick up in store" (BOPIS), in which customers purchase products online and have them shipped to a store for pickup, are growing in popularity—so if your store has an ecommerce component, be sure you offer this option. In GfK’s 2016 FutureBuy study, Generation Z (born between early 1990s to mid-2000s) topped all other shopper age groups in the U.S. in their preference for shopping in physical stores. Immediacy, enjoyment and concerns about online data privacy are key factors in Gen Z’s preference for physical stores. As this generation’s spending power grows, they’ll become even more important to retailers. 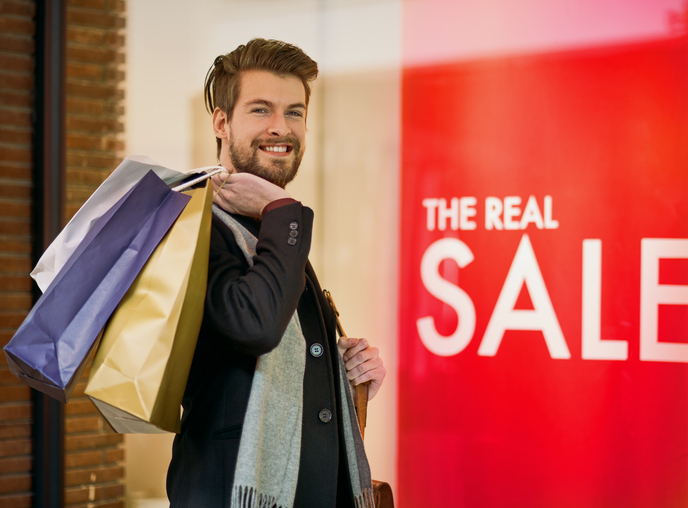 Salespeople are a crucial differentiator between the in-store and online shopping experience. Some 83 percent of consumers in a LoyaltyOne survey say an "exceptional" salesperson gives a retail store and advantage over the competition, Pearson reports. Shoppers have a world of information about products at hand on their smartphones—and your salespeople need to be just as knowledgeable about what you sell so they can make suggestions and recommendations. Smart retailers are taking advantage of the myriad technology tools available to even the smallest businesses. Provide your salespeople with mobile devices they can use to look up product information or inventory status. Speed up checkout by using tablets or smartphones to accept customer payments anywhere in the store. Use employee scheduling software to manage your store schedule and quickly alert employees about shift changes. All these tools and more are now affordable for small retailers, and they can give you a competitive edge. Headquartered in New Hyde Park, N.Y., Kimco Realty Corporation is a premier owner and operator of open-air shopping centers. The company owns interests in approximately 500 U.S. shopping centers comprising over 80 million square feet of leasable space across 35 states and Puerto Rico. Publicly traded on the NYSE since 1991, and included in the S&P 500 Index, the company has specialized in shopping center acquisitions, development and management for more than 50 years.